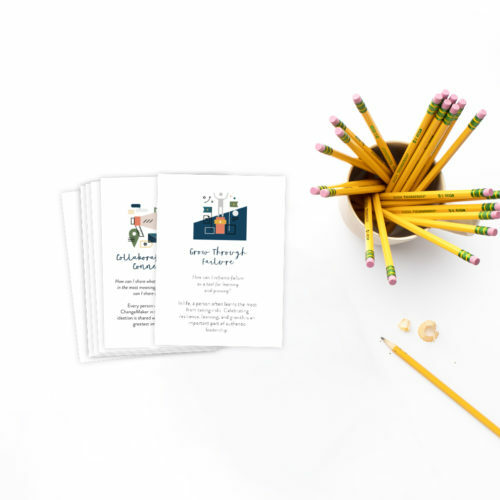 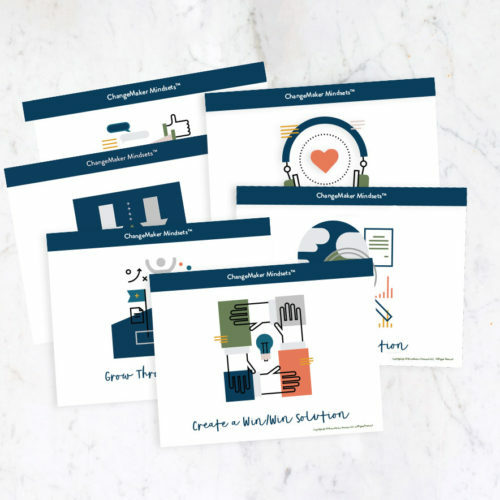 The ChangeMaker mindsets help leaders, teachers, community members, and students to reframe thinking and move forward on their ChangeMaker journey. 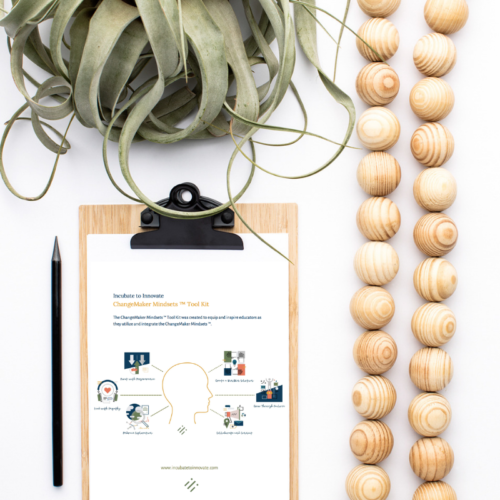 The ChangeMaker Mindsets™ Guide is a tool that allows a person to reflect and complete goal-setting with regard to the individual mindsets. 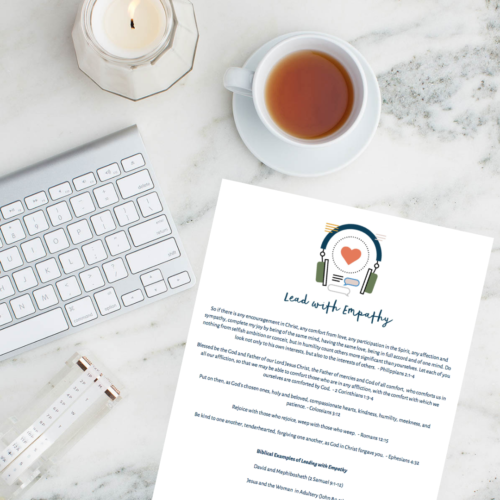 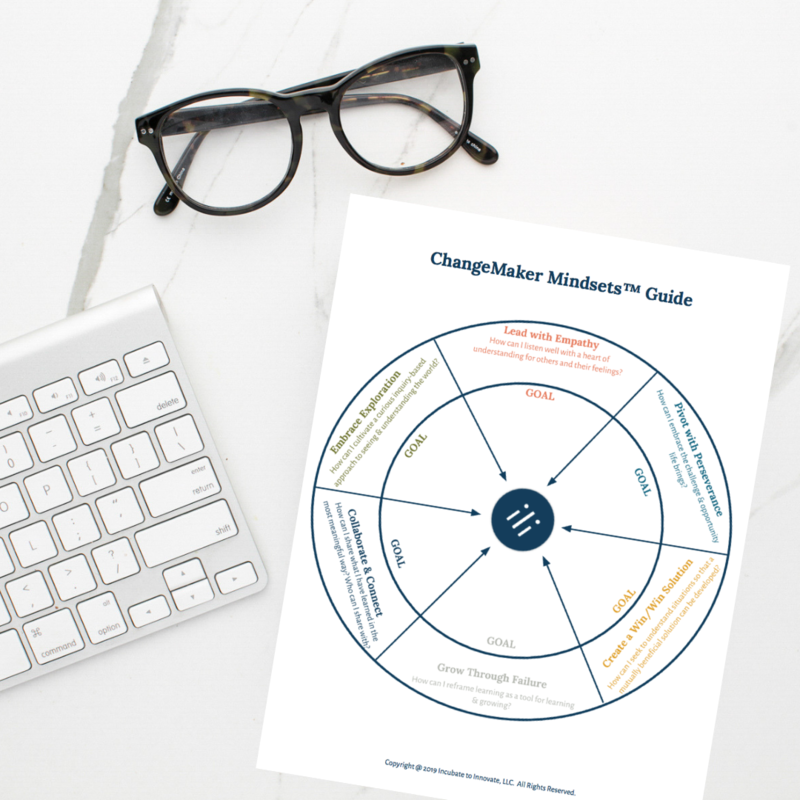 The ChangeMaker Mindsets ™ Guide is a colorful, two-page PDF download.